The meeting was devoted to the presentation of modifications in legislation and procedures in the Member States, legal and illegal migration trends. Representatives of the V4 migration services were joined by the head of the Swiss State Secretariat for Migration, who talked about the legal changes and modifications in the Swiss asylum procedure and return policy. Prospective project-based and other cooperation possibilities with the participation of Switzerland were discussed. Participants were also informed about the progress of the joint Migration Crisis Response Mechanism projects. The foreign ministers exchanged views on current developments affecting the prosperity, stability and security of our region, with a focus on interconnectivity, the Western Balkans and the enlargement of the European Union, Ukraine and the Eastern Partnership. A joint statement was issued in which, in the field of energy, the ministers emphasised that regional cooperation was a priority to ensure secure, affordable and sustainable energy supply. As regards transport, the sides expressed readiness to regularly harmonise visions on infrastructure development; and to make coordinated efforts to monitor road transport processes. The ministers also agreed to continue encouraging and supporting the Western Balkan countries on their path to European and Euro-Atlantic integration. On the occasion of the meeting, a V4+ business forum was also organised by the Hungarian National Trading House, with the participation of hundreds of companies mostly from the agriculture and food industry, ICT and renewable sectors. In addition to several bilateral meetings, presentations were held by the Trade Promotion Organizations of the V4 countries. In line with the decision of the V4 Prime Ministers in June, V4 experts gathered in Budapest and discussed the political and technical issues of the revision of the Posting of Workers Directive. The meeting contributed to shape the common approach of the V4 countries. The emphasis of the informal meeting was on the further prospects of Central European cooperation: participants evaluated the results of recent decades and discussed possible directions of further development. Southern challenges for Europe were discussed with guest speaker Yossi Amrani, Ambassador of Israel to Hungary, and Szabolcs Janik from the Migration Research Institute. Before the discussions, the participants took part in a guided tour of the Pannonhalma Abbey provided by Ádám Somorjai (OSB) who shared his thoughts on the common Christian roots of Central Europe. The Heads of Government of the Visegrad countries met for the first time with the Prime Minister of the State of Israel, and adopted a comprehensive joint statement. Before the V4+Israel meeting, V4 Prime Ministers coordinated their positions on current EU affairs including the posting workers directive, migration and the dual quality of products in Europe. The Heads of Government of the V4 and Israel discussed and expressed support to the enhancement of EU–Israel relations in areas of mutual interest, including cooperation on economic as well as political issues, strategic questions, innovation, and people-to-people contacts. They discussed current developments in the MENA region, with a focus on security issues. They discussed strengthening cooperation in the field of energy, science, technology and innovation, and counter-terrorism; and agreed to set up joint working groups for cooperation on R&D&I and security respectively. The V4 Prime Ministers accepted the invitation of their Israeli counterpart to the next V4+Israel summit to be held in 2018 in the State of Israel. Defence Policy Directors of the V4 Ministries of Defence reviewed the Hungarian Presidency’s priorities in the field of defence policy, discussed key security issues on NATO and the EU’s agenda, and took stock of the most important joint capability projects. They agreed inter alia that, under the Hungarian Presidency, a comprehensive assessment of V4 defence cooperation will be prepared based on the common ”acquis” (such the Long Term Vision and the Action Plan), and they also decided to organize a V4 Planning Group (PG) meeting of defence planning experts to examine possibilities for cooperation in the framework of EU PESCO (Permanent Structured Cooperation). On 20 July, the DPDs also attended the Distinguished Visitors Day of the V4’s annual high visibility exercise, Brave Warrior 2017 at the Hungarian Army’s central combat training centre at Várpalota. The regular meeting of V4+Eastern Partnership (EaP) Ministers of Foreign Affairs was also attended by the European Commission and the Estonian EU Presidency. The participants examined the situation and outlook of the EaP ahead of the EU-EaP summit in November 2017, and discussed the topic of energy infrastructure and the EaP’s perspectives in the budgetary planning of the MFF 2020-2027. The V4 Ministers adopted a Joint Statement in which they reaffirmed their strong support to the Eastern Partnership. Delegations of defence planning experts from the V4 Ministries of Defence took stock of joint projects and made recommendations on the way ahead. The participants reviewed the Capability Development Matrix, which serves as the framework document for cooperation in the field of capability development, and exchanged initial assessments on the various PESCO project proposals by other EU Member States. They prepared a set of recommendations for approval at the V4 Senior Body meeting of Deputy Ministers of Defence on 17-18 October. The Ministry of Foreign Affairs and Trade of Hungary hosted the launching seminar of the 2017/2018 cycle of the Visegrad 4-Republic of Korea Knowledge Sharing Program (KSP) on 13 September 2017, as the first science diplomacy event of the Hungarian V4 Presidency. The V4-Korea KSP is aimed at contributing to a more innovative and robust economy of the participants through sharing knowledge in the field of science, technology and innovation. The main theme of the 2017/18 V4-Korea KSP is strengthening the innovative capacities of SMEs, which are key drivers of the economy, therefore improving their ability to apply new technologies is essential. V4 ministers responsible for external economic relations met with Philip Hammond, Chancellor of the Exchequer of the United Kingdom. The Ministers discussed trade relations and possibilities of enhanced trade cooperation between the V4 and the United Kingdom after the latter’s exit of the European Union. Participants also discussed the rights of EU citizens in the UK, and the migration crisis. 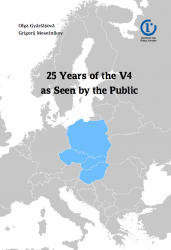 In the field of long-standing V4 and V4+ tax and customs cooperation, a new Visegrad Working Group dealing with Electronic Services was set up with the main objective of facilitating long-term professional cooperation in order to keep the electronic services of the V4 on a high level. Current practices of the electronic services and the forwardlooking that are being applied were presented at the meeting which was attended by tax experts taking part in the development of electronic services. The discussion underlined the similarities between the countries as to the electronic solutions applied, the user circle and the challenges to be faced. Delegations have voiced the need to continue cooperation on several topics mentioned at the meeting which proved highly useful. The next meeting will be hosted in Hungary in the first half of 2018 by the National Tax and Customs Administration. With a view to setting up the V4-Israel Working Group to cover counter-terrorism issues, the Hungarian Counter Terrorism Centre (TEK) organised a professional preparatory forum in Visegrad. Besides improving the currently existing professional contacts, the meeting aimed to strengthen counter-terrorism-related cooperation between the V4 countries and Israel, including discussing the setting up of the joint V4-Israel Working Group. The meeting took place on the margins of the Informal Council of Energy Ministers in Tallinn. The agenda of the meeting focused on the programme of the Hungarian V4 Presidency and the main agenda items of the Informal Council: electricity market design proposals and Governance Regulation. The meeting of the agricultural ministers of the V4 countries was held during the National Agriculture and Food Exhibition and Fair (OMÉK) in the historic Royal Castle of Visegrad. The importance of the V4-cooperation was further promoted by the participation and visibility of the involved countries in OMÉK as well. The already existing V4 and Bulgaria, Romania, Slovenia format was extended at the meeting to the delegation of Croatia. In order to provide effective solutions for the European agricultural sector and food industry’s ability to remain a competitive player on the global level, the sides also issued two signed declarations on their viewpoints and joint efforts: 1. Joint Declaration of the Agricultural Ministers of Visegrad Group as well as Bulgaria, Croatia, Romania and Slovenia on the Central Eastern European Initiative for Knowledge-based Agriculture, Aquaculture and Forestry in the Bioeconomy “BIOEAST”; 2. Joint Declaration of the Agricultural Ministers of Visegrad Group as well as Bulgaria and Romania on the Renewable Energy Directive after 2020. V4 Foreign Ministers’ discussion at the 9th Center for European Policy Analysis (CEPA) Annual Forum – 21 September, Washington D.C. The 9th annual Forum of CEPA, the leading annual transatlantic conference in Washington D.C. representing the largest gathering of Central European officials, experts and leaders in the US, was a signature program of the Hungarian V4 Presidency. The Forum, titled Preserving Atlanticism in a Time of Change, featured––as the highlight of the event––a V4 foreign ministerial panel discussion on strengthening U.S.–V4 relations. As a result of the Hungarian Presidency’s first expert meeting on Cohesion Policy, the first document (non-paper) on Cohesion Policy was drawn, focusing on the smooth transition between programming periods, with a view to sending the document to the relevant services of the European Commission as a joint V4+4 position representing our common interests in relation to the Commission’s proposal on post–2020 Cohesion Policy. The Hungarian Ministry of Justice organized a ministerial meeting on victim support and legal aid for V4 countries in collaboration with Belgium, Netherlands, and Luxembourg. The aim of the discussions was to explore how these fields of law could be improved, as all participating justice ministers expressed their commitment to develop the legislation and to operate the systems of victim support and legal aid effectively and efficiently. The participants shared best practices, while taking into account the current problems of crisis and the phenomenon of terrorism. The ministers also examined current and future projects such as the European Network on Victims’ Rights. The purpose of the meeting was to get to know each other’s positions in two key issues affecting the future of the European Union; i.e. the strengthening of the role of national Parliaments in EU matters, and the expected impact of Brexit on the operation of the European Union. At the meeting participants also discussed how the employment and social rights of citizens and payments into the current, seven-year EU budget could be guaranteed in the wake of the UK’s exit. The meeting was concluded by accepting a closing statement in which the sides had a common position on strengthening the role of national Parliaments in the EU, the state of play of the Brexit negotiations and the possible impacts of Brexit on the four fundamental freedoms and the topics of the upcoming LVIII Conference of Parliamentary Committees for Union Affairs on 26-28 November in Tallinn. V4 coordination meeting prior to the General Affairs Council – 25 September, Brussels V4 State Secretaries, Heads of Permanent Representations and national Directors of EU Departments aimed for coordinating their positions regarding the agenda items of the General Affairs Council. The focus was on migration, digital Europe, defence and external relations. Heads of V4 delegations discussed pressing issues such as the revision of the Posting of Workers Directive, the debate on the future of Europe and the revision of the composition of the European Parliament in the context of the British withdrawal. The partners discussed the EU-Turkey relations, underlining the necessity to continue the dialogue on customs union. A stable Turkey in the neighbourhood of the EU is crucial for the stability of the EU as well. They exchanged views on the developments in the Former Yugoslav Republic of Macedonia after forming of the new government, as well as Euro-Atlantic integration perspectives of FYROM, Bosnia and Herzegovina and Albania. The meeting mainly focused on the strategic guidelines of the participating countries regarding Central Europe, through which questions about the future of Europe and the Western Balkans were debated. Topics of discussion in the V4+ format focused on the role of Central Europe in Europe, the meaning of the notion “Core Europe”, the enlargement perspectives in the Western Balkans and the evaluation of the current political processes throughout the continent and scenarios for the future of Europe. The Tallinn Digital Summit saw a constructive high-level rally of the Visegrad Prime Ministers for discussing the stateof-play of digitalisation and related issues. Other priority topics on the agenda included the debate on the future of the EU, defence and more specifically the launching of PESCO, Schengen and the external as well as internal dimension of migration. In line with the preparations for the Bratislava Summit on 13 October, the issue of double standards in food quality was also touched upon.